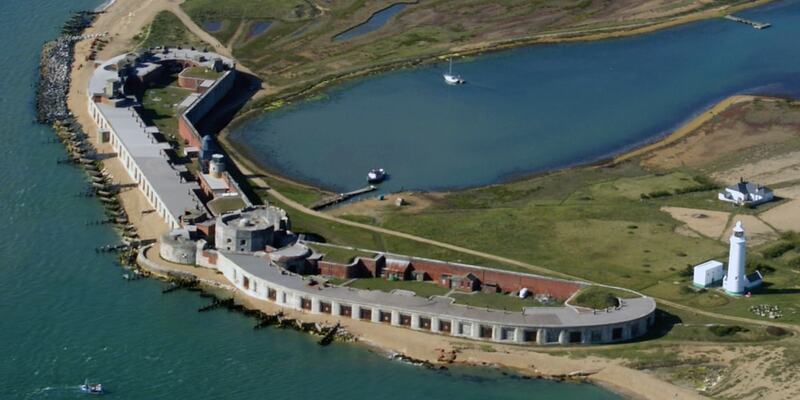 Hurst Castle is an artillery fort established by Henry VIII on the Hurst Spit, between 1541 and 1544. It formed part of the King's Device programme to protect against invasion from France and the Holy Roman Empire, and defended the western entrance to the Solent waterway. The castle formed part of a network of defences around the entrance to the Solent during the First World War, and was re-armed again during the Second World War. In the 21st century, it is run jointly by English Heritage and the Friends of Hurst Castle as a tourist attraction, receiving around 40,000 visitors during 2015.